Abstract: Airwheel works hard to improve the product quality as well as provide better user experience with creative designs and advanced technology. R3 electric moped bike will help Airwheel to make its own way in electric bike market. Different from the electric scooter industry being an emerging sector, the electric bikes have been researched and developed for years, however, the innovative e bike is seldom seen. Airwheel works hard to improve the product quality as well as provide better user experience with creative designs and advanced technology. Airwheel R3 electric aided-bicycle make its own way in e bike market. Riders only have one choice to ride it. R3 electric moped bike collects the originalities of industrial designers from all over the world. Riders are empowered to alter ride modes freely to enjoy more fun and to achieve 100 km range. 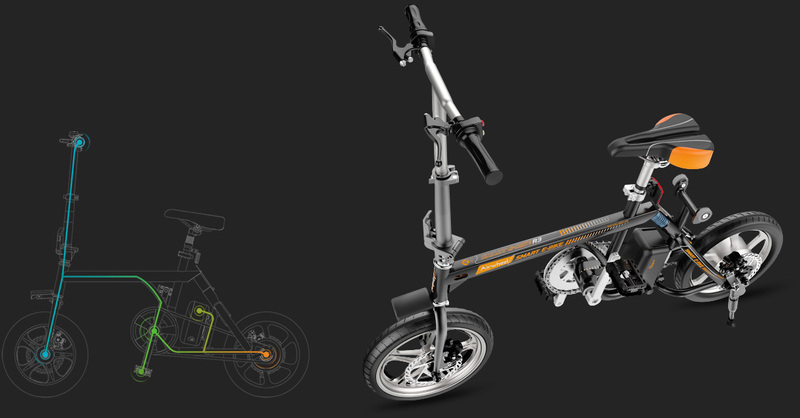 In electricity-assisted mode, it just like other e bikes can be ridden without pedaling; the power assistance mode will provide different levels of power assistance based on the choice of gear and just like traditional bikes it can build up body in man-powered mode. It not only meets customers' need of long distance ride, but also improves the degree of comfort in rising experience. In addition to the three innovative ride modes, Airwheel R3 has equipped with 3M reflect light safety design in trail, exclusively designed for night riding, making riding safer and more energy-saving and greener. Meanwhile, R3 citizen e-bike installs the electric braking system. When riders push the switch of the electric braking system, the scooter will react in 0.5 second. This design assures the safety of riders and wins praise from riders. 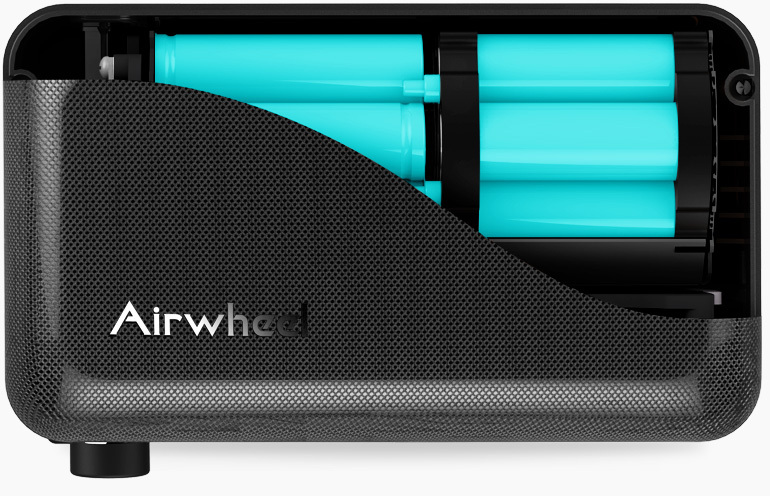 Also, the mini size of Airwheel R3 facilitates storage and covers less room. Its main body, operating rod, handle bars and pedals can be folded and can be easily carried into car trunk, bus and metro etc. with the item weight of 17kg. Exquisite vehicle Airwheel R3 electric assist urban bike is to give you much easier ride and to let you lead a fashionable life. Next：Airwheel Z5 Folding Electric Scooter Is In Rider-Oriented Design.